This is the first in many posts that I will be sharing this year as we all find our niche. Several emails that I received or even blog comments have been about how to add science into the school day. 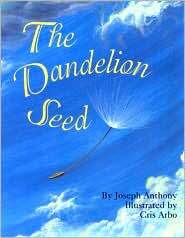 Science is like that dandelion...you can see it as a weed, or a flower. Here, at the Science School Yard I will focus on how to help you make science simple. Maybe it's just a science trade book and worksheet...maybe it's a book and an easy STEM idea with simple household items...maybe it's an NGSS science concept using the scientific method in an easy, set for you plan. It is the end of the summer school cycle, our garden is in...and now it is time to learn about weeds. During the last week of summer school, my littles (K-1) will be learning about the dandelion. 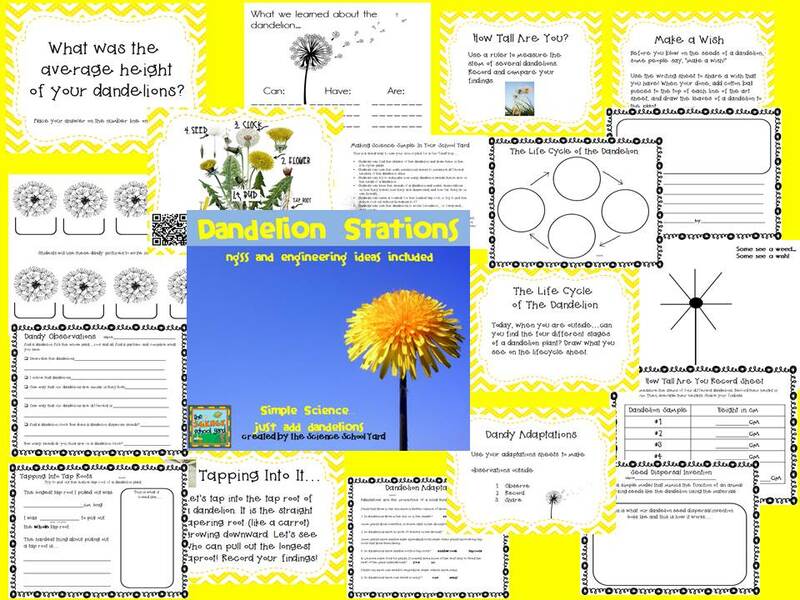 My students love time lapse...here is a quick one to show the life cycle of the dandelion! 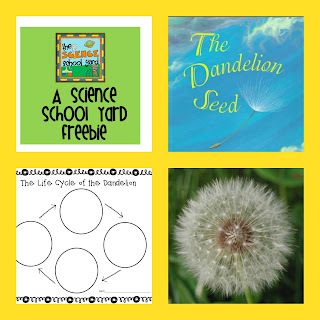 We use a great picture book to help make connections on how seeds can travel once we write our ideas down! Next, we learned about the life cycle through pictures. We followed it up by going outside to find each stage. The kids love being able to go out into the school yard for their "field" trip. I give them the sheets I have been working on in a dandelion pack. Stay tuned...but here is A SNEAK PEEK FREEBIE. Hope this small taste of science will get you thinking of how simple it may be to add some science to your school day! And for even more Dandelion fun and activities...check out my Dandy Simple Science Stations...A Dandelion Pack on TPT!